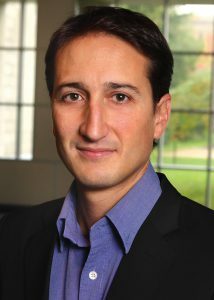 Samuel Sponem is Chairholder of the CPA International Research Chair in Management Control and Associate Professor at HEC Montreal. After studying at ENS Cachan (École normale supérieure de Cachan), he went on to get a PhD in Management Sciences from Paris-Dauphine University. He was an assistant professor at the Conservatoire national des arts et métiers in Paris before joining HEC Montréal’s faculty in 2010. His teaching and research interests focus primarily on the use, dissemination and impacts of management control tools—namely the use of budgets and performance measurement tools in large organizations—demonstrating both the wide array of practices as well as the unexpected roles such devices sometimes play. He also studied the roles of management control and performance measurement tools in community, creative and academic settings as well as the place and role of management controllers. His works have led to publications in peer-reviewed journals (Comptabilité-Contrôle-Audit, Critical Perspectives on Accounting, European Accounting Review, Management Accounting Research, Politiques & management public), trade and business journals or journals targeting the general public (Revue Française de Comptabilité, JurisAssociation, Économie et Management) as well as chapters in various books. Professor Sponem is actively involved in teaching and knowledge transfer for practitioners and the general public. He is currently responsible for the compulsory MBA course “Managing with Financial Information” and has developed the course “Comptabilité financière – Enjeux sociaux et environnementaux” (financial accounting—social and environmental issues) with Philémon Rakoto. He also coordinated the writing of the book Petit bréviaire des idées reçues en management with Anne Pezet.